06 Jun 2017 --- Analysis conducted by the Changing Markets Foundation has reviewed the results of almost 9,000 laboratory tests conducted in Europe during 2015 in connection with levels of acrylamide in food, particularly in relation to babies and children. The Changing Markets Foundation is an organization which partners with NGOs on market focused campaigns to expose irresponsible corporate practices and drive change towards a more sustainable economy. It says that unpublished European Food Safety Authority (EFSA) data shows a lot of food products exceed benchmark levels for carcinogenic content. According to the organization, one in fourteen food products tested in 2015 continue to have dangerously high levels of acrylamide. Over 70 percent of these tests were implemented by the food industry and not by food safety authorities, according to CMF. The highest level (5887 μg/kg), almost six times above the European reference value, was found in a sample of potato crisps taken in Germany. A sample of biscuits taken in Spain had the second highest value (5085 μg/kg), ten times over the European benchmark for that food group. CMF adds that it is the results from the official tests conducted by European food safety authorities that seem to identify most cases of non-compliance and detect higher levels of acrylamide. “Our analysis suggests that there is a significant discrepancy between industry’s self-monitoring and official results from the European authorities” said Nuša Urbancic, campaigns director at the Changing Markets Foundation. “This makes us question whether such self-monitoring regime is indeed delivering for public health or just covering up for the worst offenders in the industry”. The presence of acrylamide in food is considered a public health concern by EFSA as it increases the risk of developing cancer, and young children are the most vulnerable. Although data suggests there has been a slight downward trend across some food categories compared to previous years, it is alarming that the highest proportion of offending products are found in categories of foods destined for babies, with one in four of all cereal based baby food samples being above the European reference level, adds CMF. In response to health concerns regarding acrylamide exposure, a legislative proposal is being discussed by the European Commission and Member States. 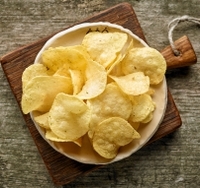 Although a vote is expected in July, it is not yet known the extent of the legislation or when any measures relating to acrylamide will be introduced. According to CM, the proposal also keeps the bulk of monitoring of acrylamide levels firmly in the hands of industry. “It is very concerning that babies and children continue to be exposed to high levels of acrylamide in foods destined for them,” said Eoin Dubsky, campaigns manager at SumOfUs, a global advocacy organization and online community that campaigns to hold big corporations accountable. Changing Markets Foundation Sumofus Acrylamide Europe Member States European Commission Legislation European Food Safety Authority.